Get your Personal 2018 Forecast now! All proceeds go to The Cat Museum! The Year of 2018 is almost here. What better way to navigate this new year than with a Personal Forecast to guide your decisions in life, love, luck, health, and career? All this for only $108+ SGD! I want a personal forecast! How do I get one? Make your payment: CLICK HERE to buy your Forecast. Win at life in 2018 and help The Cat Museum save many, many lives! 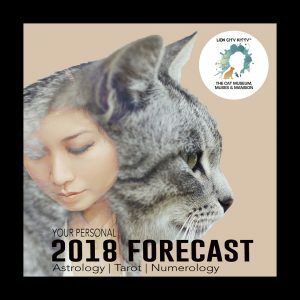 Order your 2018 Personal Forecast now!